Named in a competition, land trains Flotsam and Jetsam have now joined Bournemouth's train fleet and their winning names were chosen from over 600 entries. 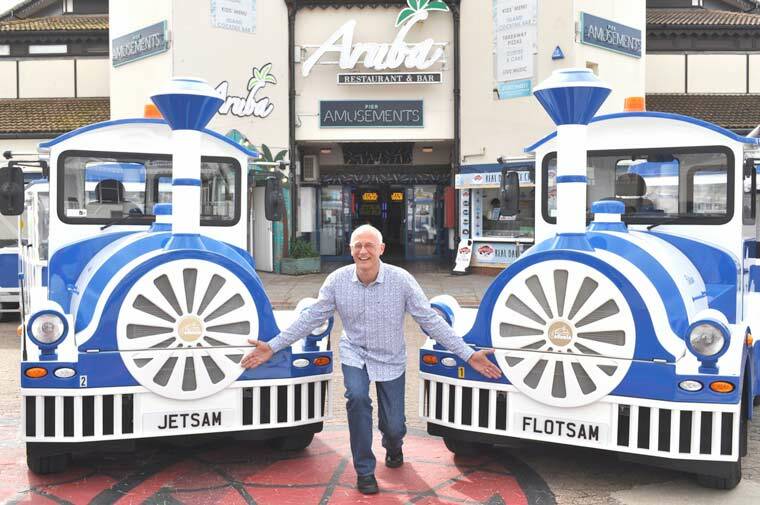 With over 600 entries, the Bournemouth Tourism’s seafront team carefully sieved through an array of fantastic names until they found the winning pair: Flotsam and Jetsam. To celebrate the newly named arrivals, the competition winner Andrew Langley attended a formal presentation with The Worshipful The Mayor and Mayoress of Bournemouth Councillor Lawrence Williams and Mrs Elaine Williams at Pier Approach.